Timor is an island at the southern end of Maritime Southeast Asia. East Timor, also known as Timor-Leste, forms part of the island Timor. The total area of this region is only 5,640 square miles. Coffee produced here is delicious and exported to all over the world. The beans typically have a medium to full body with an extensive range of flavours and a low acidity. When drinking our Timor coffee, you will notice the clean, refreshing finish on the palate and a pleasant cocoa tone. Keep reading to find out about dark roast caffeine content, coffee production in East Timor and why the beans are of exceptional quality. 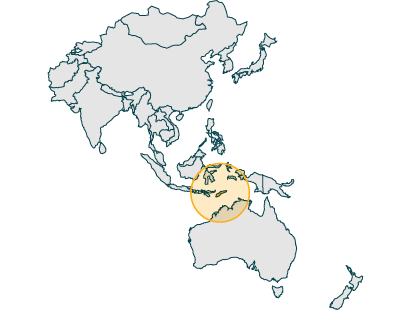 East Timor gained its independence from Indonesia in 2002. Since then, the country has taken control of its coffee production and has put more investment into it, as previously Indonesia had less focus on its coffee sector. East Timor has rebuilt its coffee industry and become much stronger, allowing it to produce the delicious, high-quality beans that we know today. Coffee growing know accounts for around 80% of the country’s total exports. Our dark roast beans are rich and luxurious. We only roast our beans ourselves to ensure the highest quality. It is in fact all down to how you measure your coffee. This is because during roasting the bean loses its mass, as it loses roughly 90% of its water content. So, this means that if you measure by scoop, light roasted beans will have more caffeine as they are more dense. Our Timor beans have been certified as Grade 1. This is the highest grade coffee can be awarded and is the best quality on the market. It means that the beans have the least amount of defects, with no primary defects allowed. They have the most consistent size and only the ripest cherries are used. This coffee is a dark roast, which releases a rich chocolate flavour. The lack of acidity adds to the smoothing taste. A slight smoky hint is noticeable, with a clean body, perfect in a V60 or Stove Top Coffee Maker. 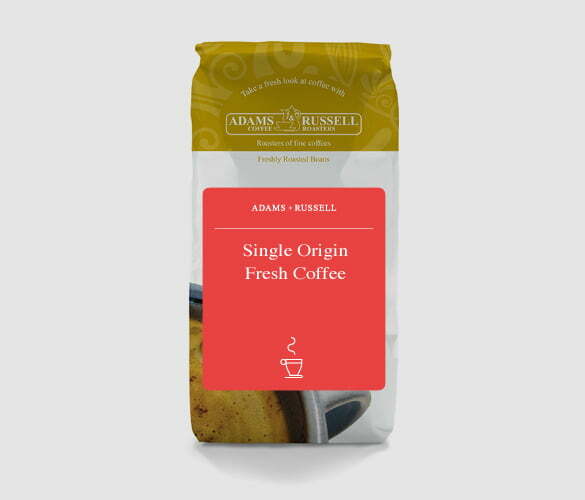 Release the fantastic flavours of this bean exclusively at Adams + Russell. Available in beans or ground and always fresh! Having only ever used supermarket or main stream brands I thought I needed something special to test out my new machine. Bought these on 3 for £12 offer and all I can say is WOW what a difference. A bit of experimenting with the grind and then the flavour and smooth velvety texture really comes through.